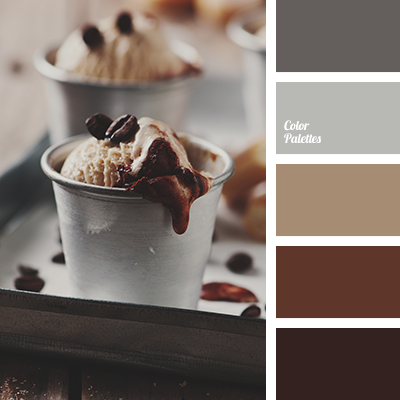 Color schemes can really make or break a house purchase and selling process. But if you can imagine what that house you like would look like in a different shade; it could make all the difference. Let’s borrow some tips from one of the newest home developers in our region. High Plains Builders makes customized homes to suite the interests of modern-day buyers. This recently constructed home is three stories, with and upstairs and basement, and is accented with the latest trending color schemes. The kitchen in this house is stunning. 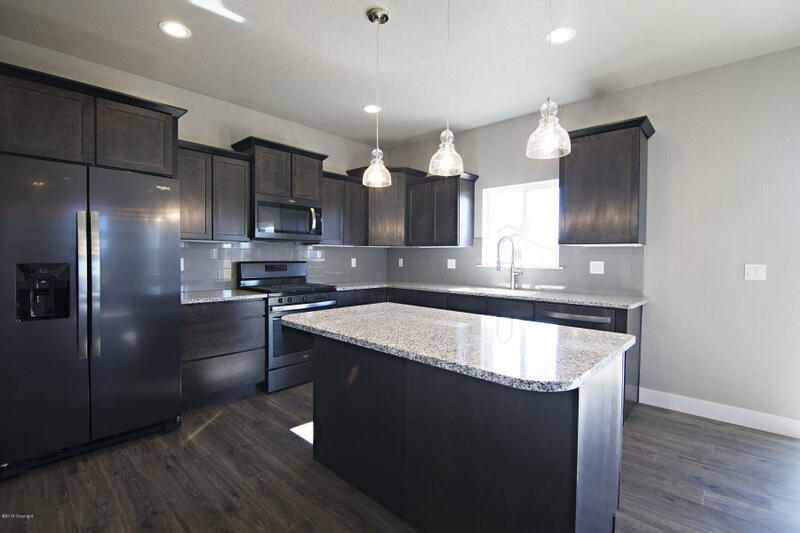 The granite counter tops match well with the black appliances and dark brown cabinets and flooring. The recessed lighting adds extra light to the area and the crackled glass light fixtures create an elegant appeal but doesn’t call in too much attention. 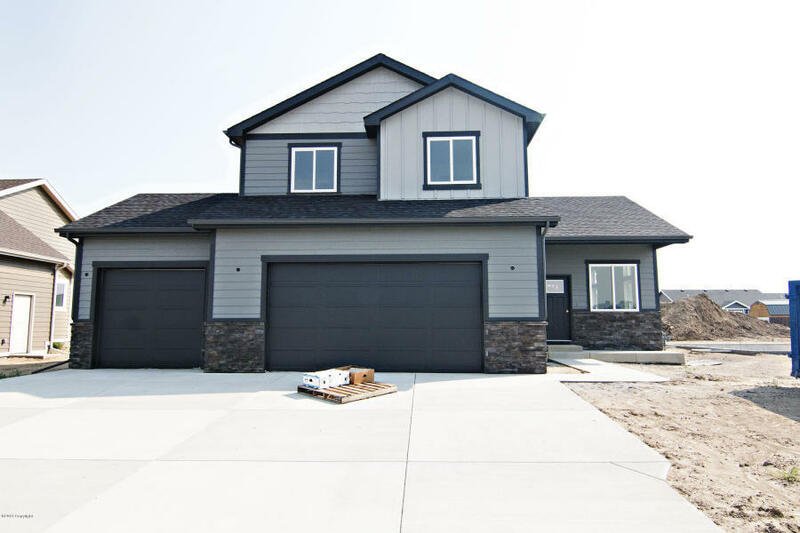 I wouldn’t have guessed it myself, but the grey painted walls match the darker flooring perfectly, and the white trim and doors finishes everything off with a clean, crisp feel. The greys and browns seem to really be in these last couple of years and I can see why. They match different personality types so well and allow for people to create the space as their own. Another way to update your new house or one you are selling is to reform the door. 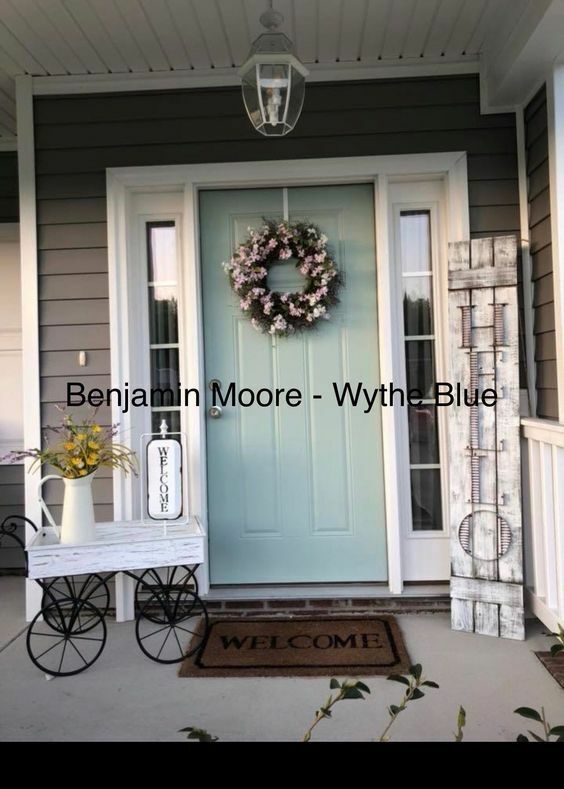 An easy and quick way to make the outside of your house appealing is is to update the front door. 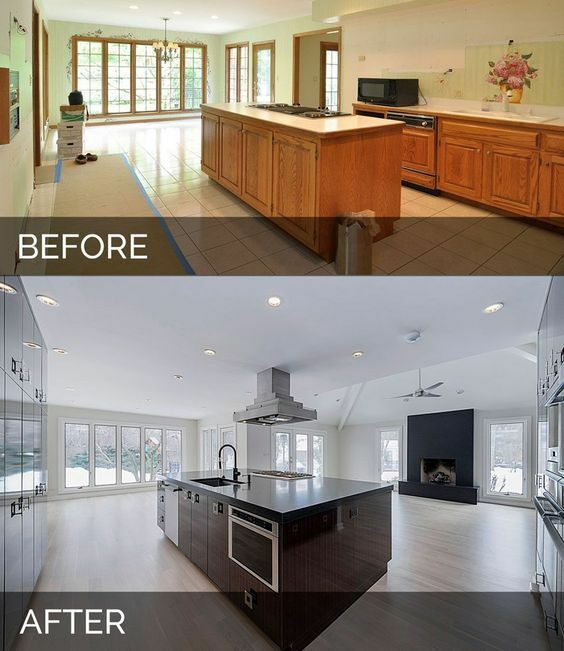 The before and after of a remodel can be amazing! So, don’t let the color of a wall or some out dated appliances deter you from purchasing the home you can see yourself loving and living in.